I have never actually been on a mission trip. Never stood with a group before the congregation to send me off to a distant land to build a church, or to a neighboring statethat has experienced devastation, nor even to the inner city to lend a hand to those living in poverty. Could it be that right here, right now, with my little training businessin my own community, I was knee deep in mission? Maybe I didn't need to go on a trip after all. I wasn't exactly "called" to Fit2Finish. Not in a voice-from-heaven-that-insisted-I-go way. It's been more of a constant contact kind of thing. On this day, I was meeting up with Emily, a 16-year-old basketball player who'd had ACL reconstructivesurgery in February. We had already had several sessions, but this time we were meeting onthe basketball court of a middle school near her home. She had been cleared to return to play, but it would be my first time meeting her father, Roy, who was bringing her. He wasn't so sure she was ready.What'sso"missional" about this? I put Emily through her paces. She runs, jumps, dribbles and shoots. She stops and starts, pivots and hesitates and drives the lane for a lay-up. Roy and I both shag balls as we watch, and I make a point to join him under the basket to hear what he's thinking. His reflective sunglasses prevent my reading his face for cues. "What do you see?" I ask him. After all, he is the expert. He has been watching this kid since she toddled with a ball. "How does it feel?" I ask Emily when she jogs over. After all, it's her body. She knows it inside and out. I haven't said a word. Not offered any observations, made any corrections, agreed or disagreed with any statements made. I have just created the circumstance towatch and listen, as father and daughter hear each other out to discover their common ground. On this sunny day in August, with a cool breeze blowing across the playground, things go smoothly. It's not always like this. Sometimesthere are undertones and misgivings, ushered in with angstand fear. Parents don't trust their kids. Kids are frustrated with their parents. Parents want to wait. Kids are in a hurry. Parents have expectations. 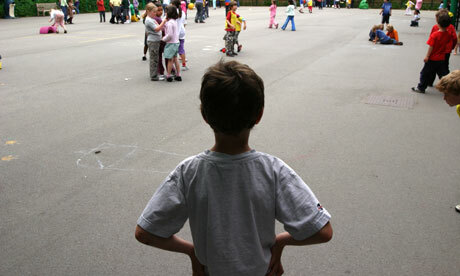 Kids want to meet expectations, but they can't. Sometimes, it gets ugly. I can't ever be sure how things will go, but it seems where I'm meant to be. 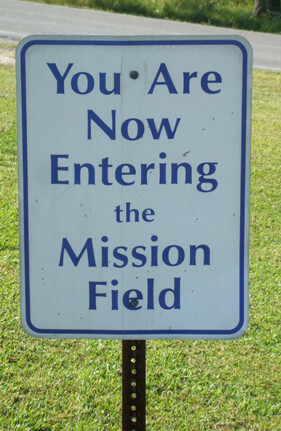 "You are now entering the mission field." It's not exactly a "sharing the faith" kind of thing, but I am convinced that somehow,when I put on those training sneakers, I am standing on holy ground. Funny, as I prepare to shuttle my own 18 year old off to Virginia Tech this week, expanding the space between us and leaving the proverbial "empty nest,"I will especially missher poignant observations about life. Often, just a few words captioning a drawing in a dusted off memory. In our cleaning out and packing, she pulled out a book that she made as a first grader. 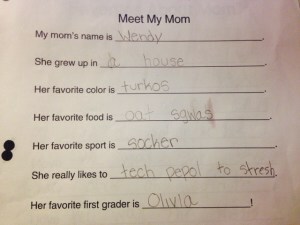 On the "Meet My Mom" page, she had written,"(My mom) really likes to tech pepol to stresh." Teachingpeople to stretchtheir limbs, their minds, their lives; toward their goals, their dreams and each other. Now THAT is a mission field.Amazing how those wrong turns remind us. This post first appeared on The Kinesthetic Christian. The post Sometimes Mission is not so Far Afield appeared first on Today I Saw God.